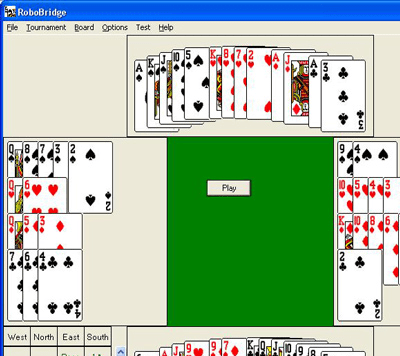 RoboBridge is software that simulates one to three human bridge players. It allows you to play some boards whenever you have some time left. The robots provide a very high level of play, so you will be trained to always play your best bridge. Practised enough and ready for some tough competition? Join the online butler competition and compare your results with those of all other contenders.